If you're yearning to know how to make Greek yogurt, you're in for a surprise. It's actually very simple to make this popular, thick and creamy yogurt. People often prefer the taste of Greek yogurt to plain, and there are a number of benefits to Greek yogurt that you might want to know about. High Protein - Greek yogurt made from scratch has up to double the amount of protein compared to that in regular plain yogurt. Easy on the Digestive Tract - Greek yogurt usually contains less lactose, a milk sugar that is often the culprit causing stomach upset with dairy foods. Low Sodium - Greek yogurt is typically lower in sodium than other yogurt. 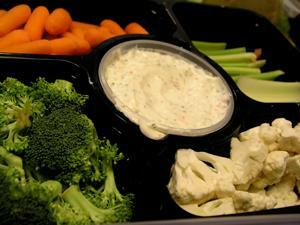 Flexibility of Use - Many people use Greek yogurt as a replacement for sour cream for savory foods, as well as a dip for vegetables or a creamy snack. There are a couple different ways to make Greek yogurt. Which method you choose just depends on how ambitious you want to be. One is almost entirely from scratch. The other is a semi-homemade way to get your favorite yogurt at a fraction of the cost. Use this recipe to make Greek yogurt with only a few ingredients. Heat one quart of milk to near-boiling. Remove from heat, and allow to cool until lukewarm. Meanwhile, mix plain yogurt and remaining milk with your wooden spoon. Note: Do not use metal utensils to stir yogurt or milk. The use of metal can cause your yogurt not to turn out. It may simply turn to a watery mess. Add in yogurt-milk mixtures to the lukewarm milk. Cover. The yogurt will need to sit at room temperature for six to eight hours. Once it's thick, it's ready to be chilled. Refrigerate until the yogurt is cold, two to four hours. Place colander inside of your large bowl and line it with your cheesecloth or other filter. Strain the yogurt. Liquid should settle at the bottom of the bowl, leaving a thick, creamy white yogurt in the filter. You now have Greek yogurt made from scratch. If you want the taste of Greek yogurt without all the work, here is a great way to take store-purchased plain yogurt and make it Greek. Place the colander in your bowl. Line colander with the cheesecloth or filter. Pour yogurt carefully into the filter. Secure the cloth or filter with a twist-tie or rubber band to prevent the yogurt from leaking out. Liquid should settle to the bottom. The resulting yogurt should be thick and creamy. Greek yogurt is very easy to flavor, but it's important that you use only plain yogurt during the cooking process. Flavoring after the yogurt has set is the easiest way. You can use many different types of flavors, like honey, fresh fruit, and sweeteners like agave. Simply mix in the desired amount and stir with a plastic or wooden spoon. One of the great benefits of flavoring your yogurt after it's been made is that you can create many different flavors out of one batch. By learning how to make Greek yogurt, you can save money on a healthy, tasty yogurt alternative that your whole family will enjoy. Try both of these recipes and decide which one you like best.